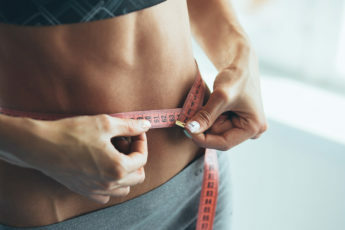 In order to have a perfect and impeccable body, you need to pay attention to every single detail, since beauty is not something you can have with the help of a single diet or some other procedures taken solely. It should be achieved as a result of complex and comprehensive ranges of activities including everything from diet to daily regimen and physical exercises. The latter are given a special importance and attention to, coming with the most diverse and multi-functional types ever. Thus, here we introduce 9 effective exercises for legs, arms, and belly, due to which you can stand a step closer to ideal looks. These exercises are recommended to repeat during the first half of the day, doing every single exercise some 15-25 times. The list hence goes as follows! For this exercise you need to open your legs at shoulder’s width, placing the body bar on the level of the shoulders, keeping the back straight and the elbows placed towards the floor. Having this as the starting position, you need to squat (making the movement you do when you’re about to sit down on a chair), bending the knees and stretching the muscles of the buttocks. After the squat you need to go back to the starting position. You need to be sure that the knees do not go beyond the line of the tiptoes. You need to repeat this exercise for about 4 times with 25 repetitions of the stretch for each. This exercise is used for working out the muscles of the hips and the buttocks. For the starting position you should be standing with the legs put at the width of the hips and the dumbbells held along the body. While breathing in you need to make a step backwards while bending the knee and return to the starting position leaning on the heel of the straight leg more when breathing out. This exercise should be repeated for three cycles, each containing 20 repetitions. In order to train the back part of the hips and the buttocks you can also try out the following exercise. The starting position is the one with legs opened at shoulder width, hands left down and the body bar held in front of you with the knees slightly bent. What you need to do is bend your body forwards with the back held straight, getting the body bar to the level of the knee. While breathing out you need to go back to the starting position. This should be repeated 4 times with 15 repetitions each. The first exercise from the list of those meant to strengthen the arms is the swings with dumbbells on both hands. The starting position is the legs opened at the shoulder length, hands left low in front of the body and slightly bent, the dumbbells put opposing each other. While breathing in you need to hold your breath for some seconds and pressing the shoulders slowly lift the bent arms to the sides. As soon as they appear to be higher than the level of the head, you need to return the hands to the starting position breathing out. This exercise should be repeated 4 times with 15 repetitions each. This exercise is meant for training the triceps. The starting position is lying on a horizontal surface or a fit ball, with the dumbbells held in hands and the elbows fixed. While breathing in you need to bend the straightly held arms and return to the starting point when breathing out. Three times with 15 repetitions each is the exact proportion of this exercise. Standing straight with the hands put at the width of the shoulders and the body slightly bent forwards, hold the legs a bit bent in the knees, while the elbows should be held close to the body form the starting position of this exercise. Breathing in you need to slowly bend the arms and lift the body bar to the chin. Then slowly go back to the starting position and breathe out. 4 times with 20 repetitions each is the correct number of exercises for this option. As for belly, we can suggest doing exercises like the belly sit-up on fit ball, working well on the belly muscles and coordination. This is a great type of exercise for those, who have some problems with the waistline or the neck. Thus, for the starting position you should be lying on the fit ball with the hands put either on the chest or behind the head, the look held forwards. A breath in should go at the very point of the starting position. While breathing out you also need to lift the upper part of the body and stretch it to the hips. When breathing in, the process needs to be repeated. The next exercise we would like to talk about is the so-called bicycle, which trains the belly muscles. For the starting position you need to lie on back, the hands held behind the head and the legs bent and fixed securely and the shoulders detached from the floor. What you need to do is stretch out the legs making oblique twists at the same time touching the knee with the opposite elbow. Do not fall over one side with the whole body, but simply twist your body putting the pressure on the press. Finally this is the last option you can try out, for which you need to start out with the lying position, the hands stretched along the body, and the legs lifted up and slightly bent. When breathing in you need to stretch the legs to the chest while detaching the pelvis from the floor. When breathing out you need to return the legs to the starting position. Since the efforts you are putting into the exercise are minimal, you need to work with the muscles of the belly instead of focusing on the legs. All of the belly exercises should be repeated thrice with 15-25 exercises for each. Here were the basic types of exercises for legs, arms and belly that we would like to introduce to your attention, suggesting some effective and great variants of workout plans, which are easy, effective, and quick and that will really gift you with the flawless and cool body you wish for!